You may brush your teeth twice or more every single day, floss to make sure you’re reaching every nook and cranny in your mouth, and you might even use an oral rinse to top it off. But somehow you are still getting cavities. Maybe you’ve noticed friends or family members whose oral cleaning routines aren’t as diligent as yours but don’t get cavities nearly as often as you do. Why is that? Some people are more susceptible to cavities for a number of reasons, not all of which are to do with improper teeth cleaning. Read on to find out what they are. The culprit for why you might be more prone to cavities could be as simple as what you’re eating. Eating too many snacks and beverages filled with sugar is a major issue when it comes to your oral health and should be the first place you look to cut down for the sake of your teeth. Unless immediately cleaned with a toothbrush and fluoridated toothpaste, sugars sit around and between teeth, and along the gum line. These sugars become fuel for destructive bacteria which multiply and erode tooth enamel, which is the protective layer of teeth that protect against decay which leads to cavities. Sugary foods to avoid include sodas, juices, sweets, and carbohydrates, such as white breads. To combat cavities, replace these foods with crunchy fruits and vegetables that are naturally low in sugars, such as carrots and celery, and drink water to flush away food debris and sugars that may be lingering among teeth. Bring your toothbrush and toothpaste with you to work to brush your teeth after lunch to ensure that no particles or sugars are left behind. There are oral bacteria, or microbes, that are more aggressive than others when reacting with sugars in the mouth. This means that the bacteria that naturally forms in some people’s mouths can be more damaging than the bacteria that forms in other people’s mouths. This destructive bacteria is what breaks down the protective barriers of the teeth and can cause decay down through the root of the tooth, which is how cavities are formed. To combat aggressive oral bacteria, couple your regular brushing and flossing routine with an oral rinse that fights cavities by enhancing the tooth’s natural protection. If you experience a feeling of dryness in your mouth regularly, this could affect your oral health. Saliva is essential to combat cavities because it washes away destructive food particles, sugars, and bacteria in the mouth naturally. There could be various reasons why dry mouth occurs, including medication side effects, chemotherapy treatments, and sickness. To combat dry mouth and protect your teeth from cavities, rinse daily with an enamel enhancing mouth wash to protect teeth, and try to drink plenty of water throughout the day to make up for the lack of natural moisture in your mouth. Consult your healthcare professional for additional treatment for dry mouth symptoms. If gums recede far enough, the roots of the teeth can become exposed past where the tooth enamel naturally covers. 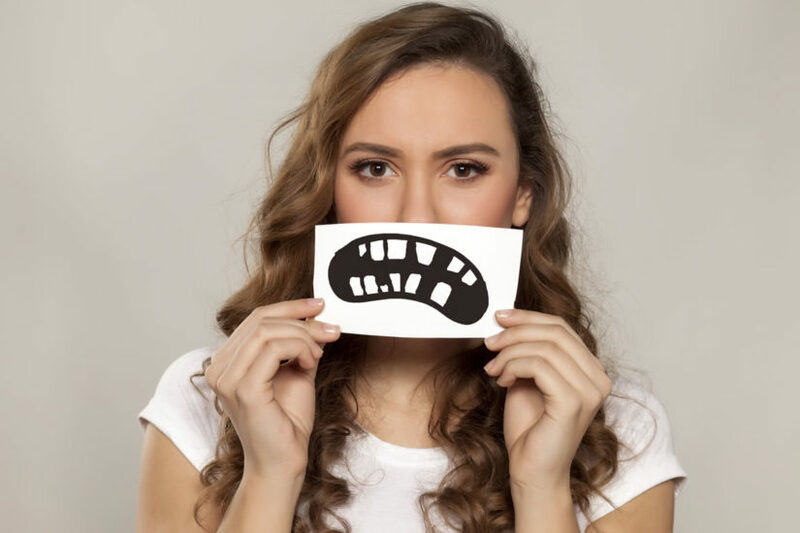 This means that the base of the tooth is vulnerable and any bacteria that would naturally build could cause decay much easier, which results in cavities. Brushing lightly with an ultra soft toothbrush away from the gums is important to avoid causing further recession. Couple this technique with fluoridated toothpaste, an enamel enhancing oral rinse, and counsel from your dental professional to ensure that gum recession is not due to a larger health issue. Teeth that have naturally deep grooves are more susceptible to cavities because they are likely to catch food particles, sugars, and destructive bacteria easily. These grooves are more difficult to properly clean regularly and are closer to the root of the tooth so any erosion that does happen is more likely to have more destructive results because of its proximity to the vulnerable part of the tooth. Decay in these grooves is much more likely to cause cavities. Ensuring that these troublesome teeth shapes are cleaned fully twice each day and that no food particles are left behind after eating is the best way to combat and prevent cavities. For further information about any of these issues, and for any other questions you may have about cavities and your oral health in general, consult your dental professional.